As a graphic designer, your portfolio is your treasure chest. When a prospective client or employer asks to see your work, you open this treasure chest to dazzle them with your work and prove to them that you’re the right person for the job. Essentially, the way you showcase your work is equally as important as the work itself (“it’s all about presentation” – you’ve heard that a million times). 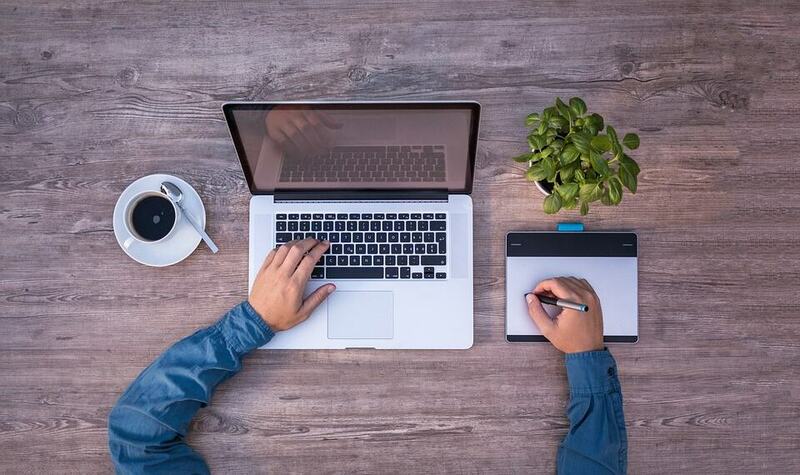 To gain an advantage in the hiring market, exhibit your professionalism, and show that you approach every detail with skill and creativity, you need your portfolio website. 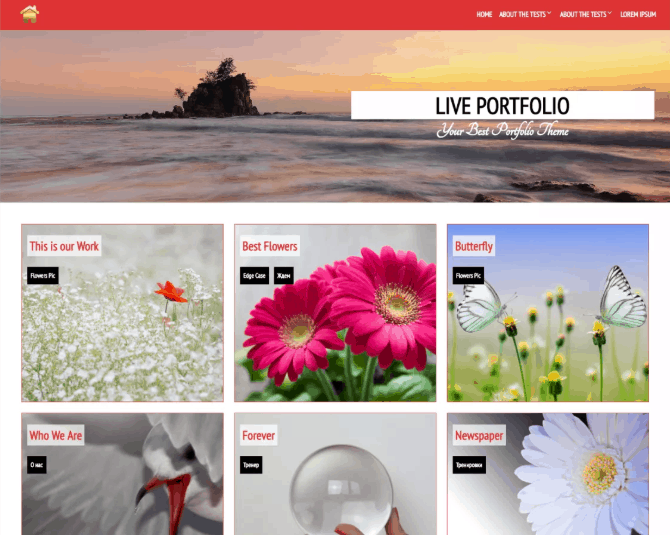 Creating a #portfolio on #WordPress is a really fun process, so read how to manage it. WordPress is a great choice for personal websites, and it’s widely used by creatives across numerous industries. It’s the most popular content management system for many reasons, powering about a third of all websites. What makes it so attractive is that the software is very easy to use – a complete beginner with no experience whatsoever can set up their own site within minutes. And once you have it, it’s super easy to work around and modify as well. The software is free, but you’ll need to buy hosting, a domain name, and a professional theme. You might also want to consider caching a website. All of that costs less than $100, which is really cheap for what you’re getting. Now, we won’t get into all the step-by-step technicalities (you really won’t have trouble with that), but rather let’s look into some practical tips to help you showcase your designs and build a great portfolio on WordPress. Before we begin, a word of advice – be smart with your WordPress passwords. You can present a countless number of projects on your website, but that really wouldn’t be a great idea. You want to be very selective with what you show in your portfolio and pick out only the best. This is really where so many graphic designers make a mistake as they desperately try to show as much as possible. But what you want to do is tell a story about yourself and your art through the work you’re showing, not just throw a bunch of projects at visitors for the sake of quantity. Choose your best projects and although you want to give prospective clients an idea of your style, don’t go too far – make sure you throw in some variety. Are there any projects of yours that you didn’t get to complete just the way you would have liked? There surely have to be some due to deadlines or a client’s demands. Don’t hesitate, now is the time to improve them so that you can put them in your portfolio – if you think they have great potential, of course. You’ll find that you’ll need to touch up on some other projects as well so that you can create a more visually complete whole. When it comes to very commercial work such as package design, you’ll want to update it to show you have the skills to design for the current market. Look for some inspiration in examples of the best package designs of 2018 and experiment a little – for example, you can show both design versions in your portfolio as an interesting reflection on your work. It’s generally advised to include only more recent work in a portfolio, but this is not a strict rule to follow. If there’s something old that you’d like to include, try a 2.0 version. There are so many to choose from, and a lot of them look really amazing. That being said, you can easily find yourself knee-deep in the search without any orientation as to what would be best for your portfolio. It’s important that you have some kind of criteria for your search, and as a graphic designer, you probably already know what you’d like the basic layout of your portfolio to be. The best way to go about it is first to sketch a design you’d like on paper – the layout, focus elements, etc. Don’t get too detailed. Then search for a portfolio theme that has the most basic structure of what you have in mind (the “bones” of your design) so that you can customize it. WordPress plugins are great – and really fun to play around with. There are thousands available for free from the WordPress.org directory, but there are also premium plugins that usually offer a support staff as well. Don’t forget to check TidyRepo where you can find reviews of some really interesting plugins. This can come in handy, especially considering that compatibility issues between different plugins can cause bumps in the website’s functioning. Slider plugins are a great choice for graphic design portfolios, but you’ll find that many themes actually have these features already. Either way, if you think of something you’d like – say, contact widgets or social sharing plugins – just search “Social sharing WordPress plugin” on Google and you’ll find plenty to choose from. Don’t just download any, however – use this guide to avoid malicious plugins. Most importantly, you can use page builder plugins to customize your theme using drag and drop editors. You definitely want to do that to get a unique website – as a graphic designer especially, where customization allows you to give visitors an idea of your style. You might have seen this on some other designers’ digital portfolios – grid pages showing the work process. We advise you to feature that as well because it adds more depth and personality to a design portfolio. Not only does it grab the viewer’s attention and show your confidence, but seeing someone present their work process makes people more open to their message – it’s a great way to establish a relationship with potential clients. Creating a portfolio on WordPress is a really fun process, so make sure you give yourself enough time to experiment a little. With so many themes and plugins, you can get creative and build something you’re proud of. Once you have your work uploaded, you can sit back and enjoy the view – but be ready to upload new work or make little adjustments soon. Published on August 6, 2018 under design, plugins, theme, WordPress website. Modified on December 6, 2018. Meaghan Yorke is a content writer for DesignRush. These days she is all about researching various IT related topics. When she is not working, she enjoys dancing classical ballet.